I contributed typographic posters for the local non-profit TypeHike. One for initial TypeHike poster series, Petrified Forest National Park, and one for the anniversary of the induction of the Gateway Arch into the National Park system. 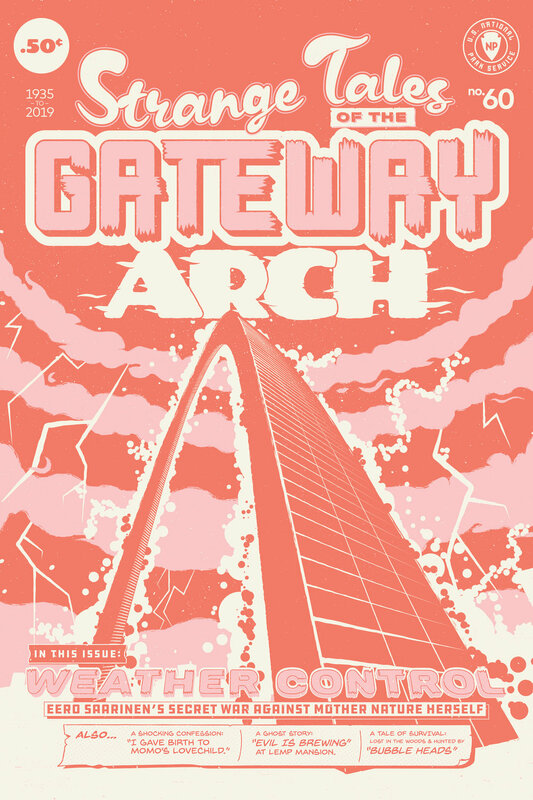 My Gateway Arch poster was inspired by conspiracy theories surrounding the arch, as well as other St. Louis urban legends. The design was inspired by cover art and type of old EC horror comics and tales of the weird.